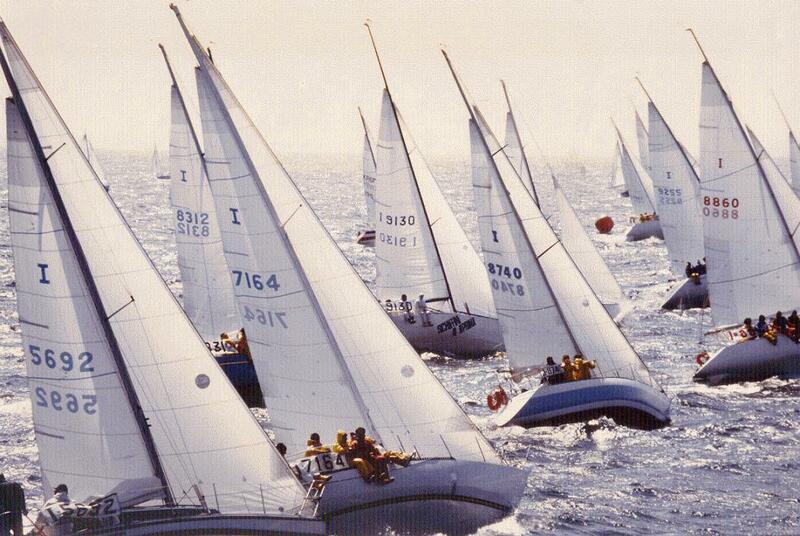 Picture from Guido Crotti: "1981 V IOR class italian championship in Cervia. First race. Over 30 racer on the pit lane! In those years there were in Adriatic sea many HT"
Main objectif is to find history of each half tonners. 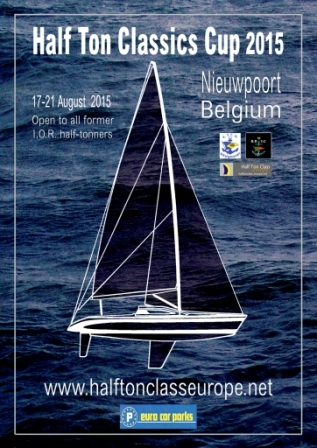 My main source are nautical review, ("Bateaux", "Neptune Nautisme", "Les Cahiers du Yachting", "Course au Large", "Voiles et Voiliers" and few "Seahorse") and halftonclasseurope site. 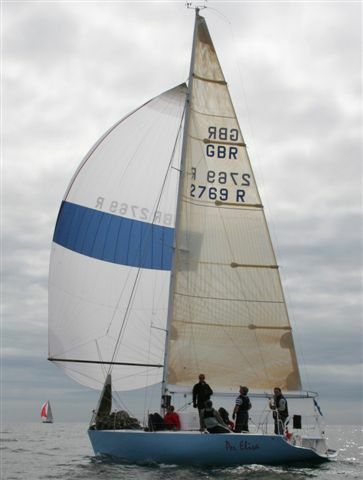 Are listed most of the boats found engaged in major event such Half Ton Cup or Aurore-Figaro, and smaller races as IOR Class V. Then on IRC races.